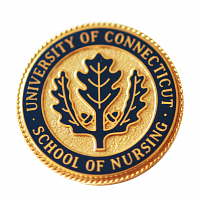 The University of Connecticut School of Nursing (SON) supports outreach programs that will contribute in positive ways toward improving health services. SON is a steering committee member of the Connecticut Health Care Workforce Coalition whose focus is to ensure that a diverse workforce meets the health needs of the people of Connecticut. We offer continued support of the Haitian Health Foundation, which has grown from a volunteer effort of health professionals into an outpatient health care facility. As a university we continue to search for outreach opportunities that will not only enhance the understanding of public health needs, but will enrich student learning experiences.